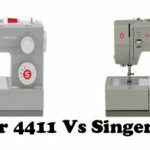 Singer 3116 is not an ideal beginners machine. There is a learning curve associated with it. You need to really spend some time to learn to thread this machine. 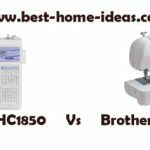 CLICK HERE to read what other users say about Singer 3116 sewing machine. 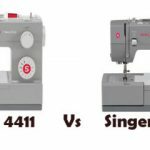 Singer 3116 is very much an entry level sewing machine. 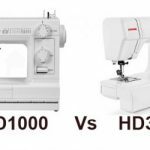 It has all the features you can expect from an inexpensive sewing machine. It comes with 18 built-in stitches including a 1-step buttonhole. Singer has done a very good job in providing a 1-step buttonhole for this price. 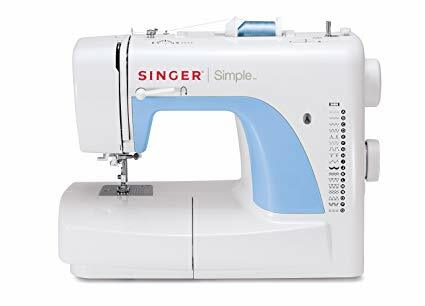 Most under $100 machines have 4-step buttonholes which is definitely an inconvenience for beginners. This machine even has an automatic needle threader (another feature that you normally won’t associate with inexpensive machines). Stitch length can be adjusted on Singer 3116. It comes with drop feed option for free motion sewing. The machine can be used for free arm sewing as well. It has a front loading bobbin, which is kind of an inconvenience, especially for beginners. A drop-in bobbin would have been ideal. Singer 3116 is durable, you can literally make that out from its construction. There may be some issues with threading. If you don’t do it correctly, you will be in all sorts of trouble. All the stitches on this machine work fine. The tension is easy to adjust as well. You need some practice to get the automatic needle threader to work. The thread jamming and breaking is an issue pointed out by some users. If you thread it the right way, it should be okay. But it seems it is difficult for beginners to get it right, right away. The reverse sewing lever is pretty awkward to use. It also falls off easily. There is a learning curved associated with Singer 3116. It is a mixed bag to be honest. Ease of use wise, this sewing machine needs to improve a lot. The machine will work fine if you figure out how to use it, until then it will be like climbing a hill. This is not an ideal beginners machine but it will work if you are ready to spend some time on it. An alternative machine I can suggest you is the Brother XM2701. 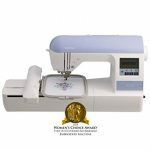 It is a value for money sewing machine with a lot of advanced features for a very low price.